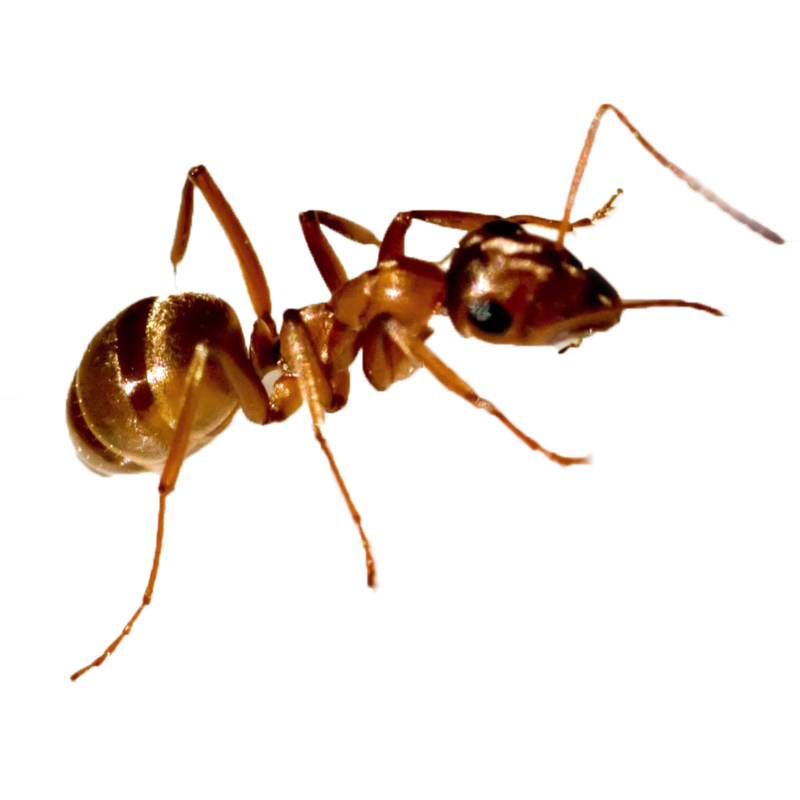 If you’ve ever dealt with ants in your home you know what a challenge it can be to get rid of them. Ants in your home may be a nuisance to you but ants in your hermit crabs’s home can be dangerous. Ants can and will attack molting crabs, and this could kill the hermit crab. If you find ants in your crabitat it is an emergency situation that must be dealt with immediately. Are they coming into the crabitat from outside or are they living in the crabitat? What are they doing in the crabitat? Are they coming in for food and leaving or are they building a nest? How are they getting in the crabitat? Are the climbing up from the floor or dropping down from above? If the ants are building a nest in the crabitat this is the most critical scenario. If you have determined that the ants have set up residence in your crabitat you will need to tear down the tank. Set up a temporary tank in a plastic bin as seen here. Emergency Temporary Housing for Hermit Crabs but with one alteration: very shallow substrate! If you have molters down, they must be dug up. Yes this may kill them but the danger from the ants is greater. Remove your substrate as carefully as you can until all of your hermit crabs are located. I would suggest a gentle bath in dechlorinated ocean water to ensure no ants are inside of your hermit crabs shells. The ocean water should repel them. Freshly molted crabs can’t be bathed. Place all of your hermit crabs into bin while you clean the crabitat. I would recommend leaving your crabs in the bin for at least a week to keep an eye out for more ants. Monitor your molters closely for signs of distress. Any crabs that go naked should be offered safe shells (that weren’t previously in the tank if possible) and their old shell boiled in case there are ants or eggs inside. In addition to the live ants we have to address the eggs, which are incredibly hard to destroy. Nothing from the main tank should be reused in the emergency tank at this stage. Any wood items in the tank should be replaced completely in case they are infested. Plastic items can be cleaned in your dish washer on the hottest and longest cycle and once fully inspected can be reused. Throw away all substrate, cocofiber decor, cocohuts, fake plants and any other that could have ant eggs clinging to it. Boiling water seems to be a common method to kill the eggs. If you have the equipment to boil your decorations you may be able to save them. Do not attempt to save your substrate, sand is super cheap. Do not attempt to save any wood pieces. All empty shells should be boiled for a long time. You may also want to place them in a zip lock bag or air tight bowl for up to 12 weeks. Ideally you have some spare shells that weren’t in the tank and aren’t suspect and can be offered. Once your crabitat is empty it will need to be thoroughly cleaned before setting it up again with new substrate. You can use a mix of straight apple cider vinegar and lemon juice to clean the crabitat. Let it dry and air out. I would clean your lid as well. Additionally I would follow the steps below for destroying the scent trail. Ants that are gone from the nest when you tear the crabitat down will follow their scent trail back to the crabitat. If the ants are coming in for free food we need to prevent access and discourage their return. Ants leave a scent trail so that their nest mates can find the nest and sources of food. You must destroy as much of the scent trail as possible. One safe method would be to mix vinegar and lemon juice in a spray bottle and use it to wipe down anything and everything near your crabitat. A drop of dish soap may help as well. If you have hardwood or other non carpet type floors, mop all around the crabitat and then work your way out. Do as much of the floor as you can, especially if you don’t know where they are coming in. If you have carpet you can sprinkle baking soda all over. Again start at the crabitat and work your way out. Don’t vacuum it up until you have been ant free for several days. Don’t forget to consider the ceiling as a route of entry, this is a confirmed method of entry for determined ants. Once the scent trail is destroyed, put a thick barrier of Vaseline around the base of your tank, then around the top near the lid. It needs to be thick and wide enough so the ants won’t cross it. If you have airlines or power cords going into your crabitat they should be protected with vaseline at the point where touch the tank. If possible don’t allow them to drape down providing an easy path into the crabitat. Next you can lightly crumble whole bay leaves and sprinkle them around your crabitat. If your tank is on a stand, you can place them on the floor around the base of the stand. It may be helpful to only feed dry (boring!) foods to the hermit crabs for a few days and avoid strong smelling and sweet foods. Some people have good luck protecting their house from ants by spreading Borax in their doorways to the outside. Next Post: Join us at the Pet Expo 2016!